Glovida approached our team with the intention of revamping their website to eventually improve the user-experience and facilitate more conversions. 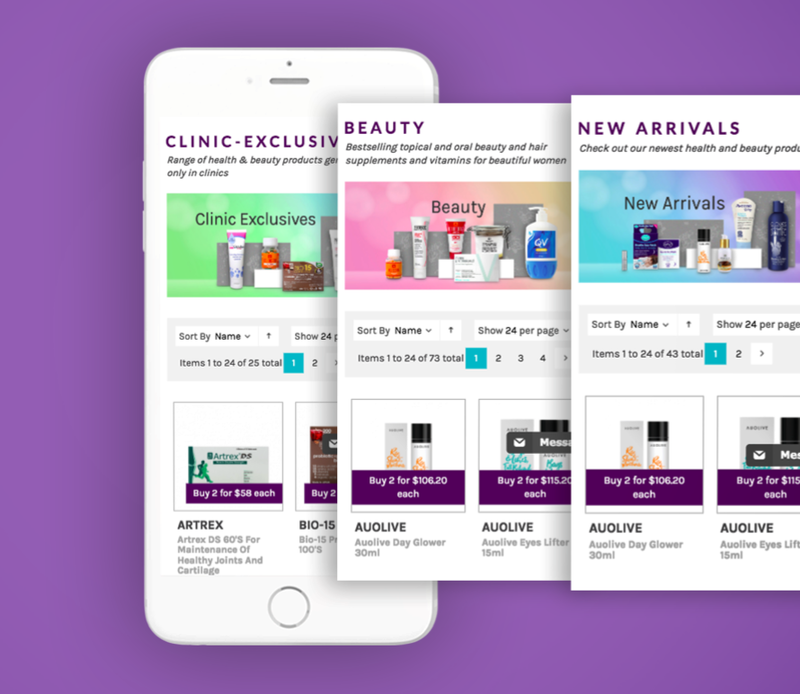 As an ecommerce website that sells carefully curated health and beauty products, Glovida knew that reorganizing their outdated website to give way for a more user-friendly interface is crucial to propelling their business’s success. For this revamp, we made sure to craft a beautiful interface that does not sacrifice the website’s functionality and enhances visitors’ browsing experiences on desktop and mobile. 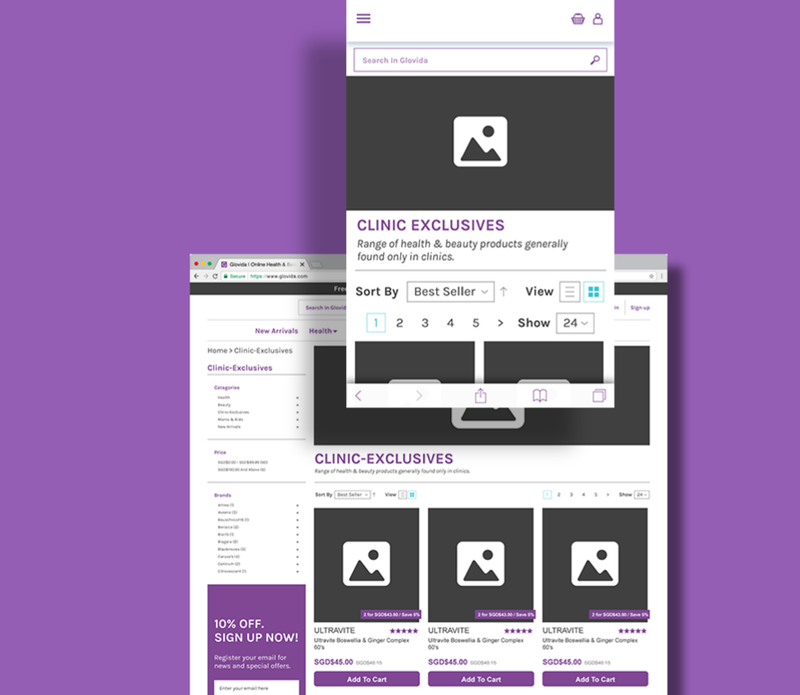 We adjusted the User Interface (UI) to improve their initial outdated design, creating pages that allow for easy reading and viewing of Glovida’s selection. 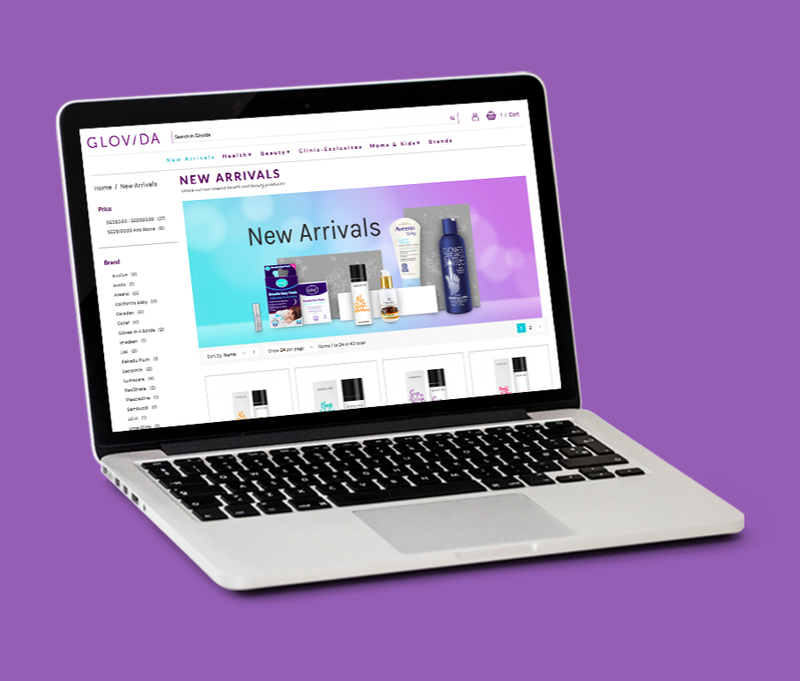 When we considered the adjustments for Glovida, we made certain that the website design immediately draws a visitor’s gaze into the company’s literal and figurative “selling points”—their quality and affordable products. Once plagued by problems that badger their older website design, Glovida’s website now allows for easier navigation that resulted in better conversions. Jackie’s team at Amber Creative exceeded my expectations. 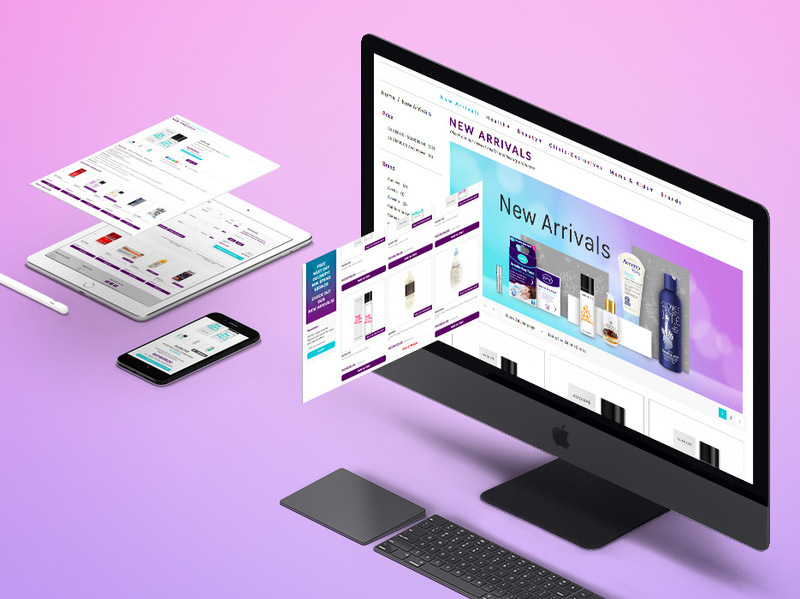 We had an idea of how Glovida’s website should be like, but the Amber Creative team provided advice that helped us achieve goals beyond creating a beautiful ecommerce site. Armed with a team of experienced and knowledgeable professionals, Amber Creative was responsive and highlighted many areas that we could improve on. The end result was a stunning, user-friendly website that helped boost Glovida’s sales significantly.